I found this on Reverb for anyone who's interested. I wish I could tell you the exact specifications of this guitar - all I know is that its a one-of-a-kind built for an endorsee/artist. 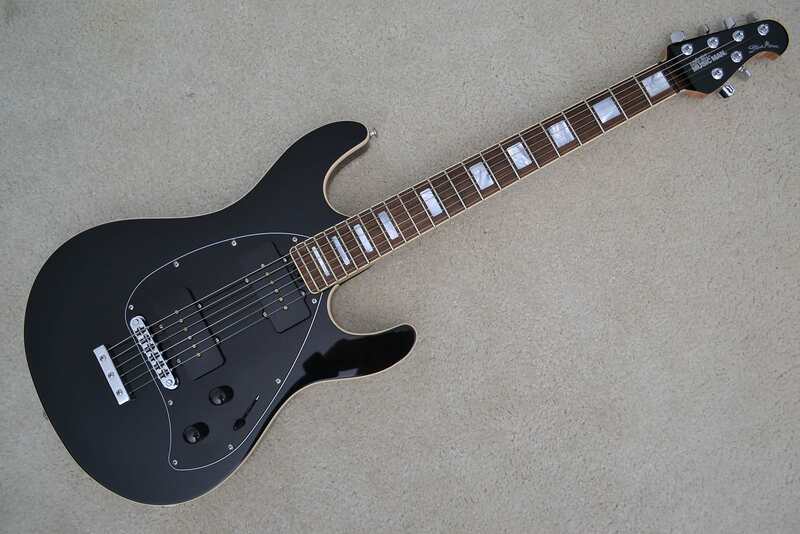 I'm not even sure that the body is Poplar, and I don't know who made the P-90's (though I supposed I could pull the pick guard and check them out if you were curious). All I know is that the neck on this thing is absolutely amazing, and it sounds incredible. I've never played another Morse, so I don't know what to compare it to, but I do know it blew me down the first time I sat down with it. This model never has block inlays, or P-90's, just to be sure. Its super clean, with no apparent flaws of any kind. Looks like the Cutlass headstock. I believe Never seen a Morse with a binding on the back. Last edited by banjoplayer; 01-28-2019 at 01:41 AM. Now that’s an odd duck! It looks legit, as in legit EBMM, but wow. I don’t know what to think. Could be per tuner change. Seller doesn't give a date. If it is an artist instrument any combination is possible I would think. No that this is my cup of tea, just thought it was unusual and different. My observations should not express suspiciousness. This guitar looks like a real piece of EBMM craftmanship. I really like it! And yes.... everything is possible at an artist one-off. The binding on the back is super-cute! No worries man. Wow that's really cool to hear that you like it. Unique and different is how I saw this. "This Steve Morse was completed on May 2nd, 2016. The color is Black with the Rosewood fretboard & block inlays. It was a prototype made for our marketing/promotional account and most likely sold at a guitar show." I can't find the original listing but I believe it sold for way cheaper then... I almost went for it but I just couldn't justify it space-wise. Ditto, I was so close before but kept talking myself out of it.